Is Gronk all grown up? 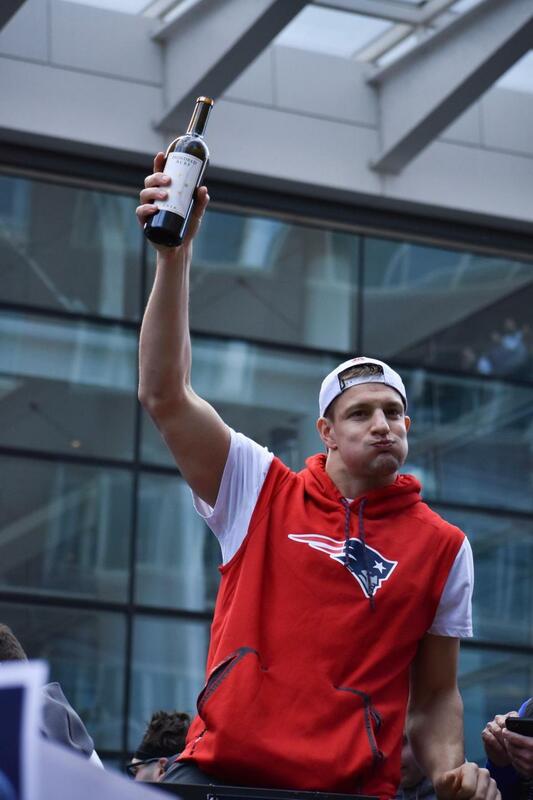 Rob Gronkowski, the Patriots’ favorite party boy, was seen holding a bottle of red wine as he celebrated with his lady friend, Camille Kostek, and his teammates during the 2019 Patriots parade. 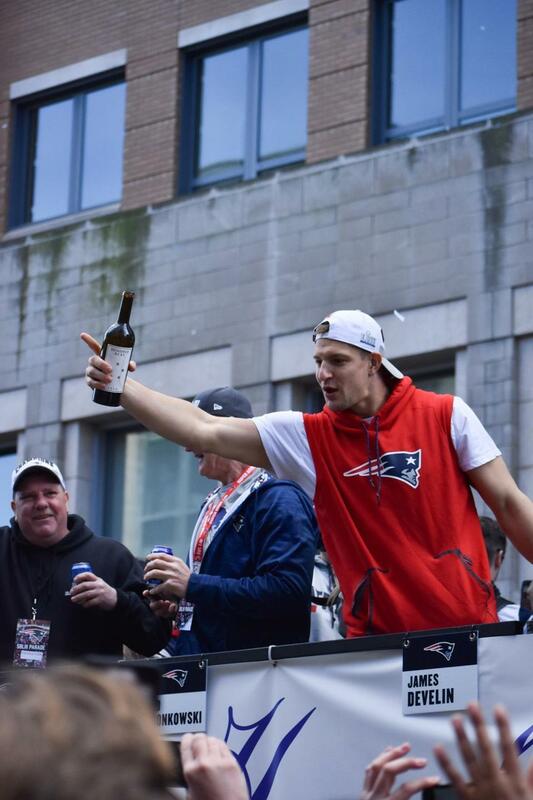 Photos and video footage showed the star tight end rocking out while holding a bottle. However, the CEO of the company, John Hardesty, said the wine normally retails for $600, and is only available through an exclusive mailing list that can have a years-long wait. Who is Camille Kostek, Rob Gronkowski’s girlfriend? We caught up with the swimsuit model, television host, and creator of a jewelry line to talk about all things travel. Hardesty said he wasn’t aware if Gronkowski has ever visited the winery, but seemed tickled that the football player was so publicly enjoying the company’s wares. “He clearly has expensive taste,” he said. “It shows he has excellent taste and he clearly knows what he’s doing. He said the tiny company only employs about 20 people and doesn’t even have a tasting room, but noted that many celebrities are on the company’s mailing list (but declined to say exactly who, citing confidentiality requirements). 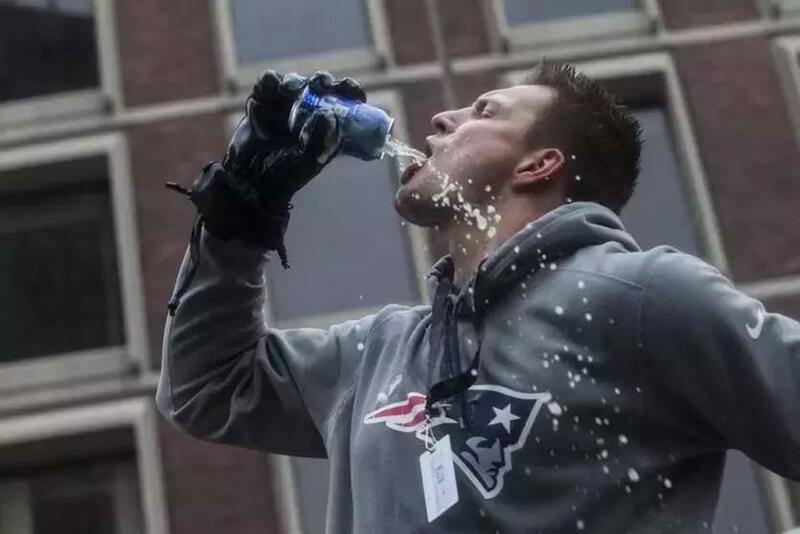 The image is quite the contrast from when Gronkowski pounded cheap beer at the 2017 Patriots parade. 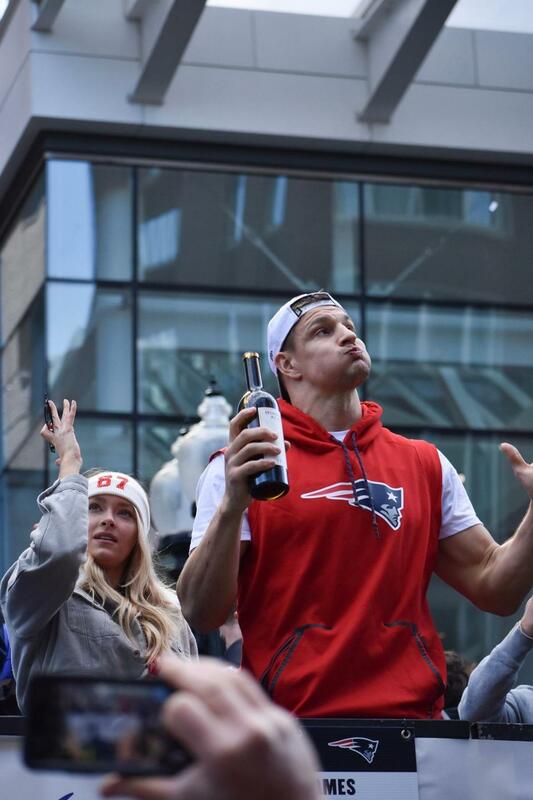 And while Gronk might have been sipping a classier drink this year, that didn’t stop him from getting shirtless again. 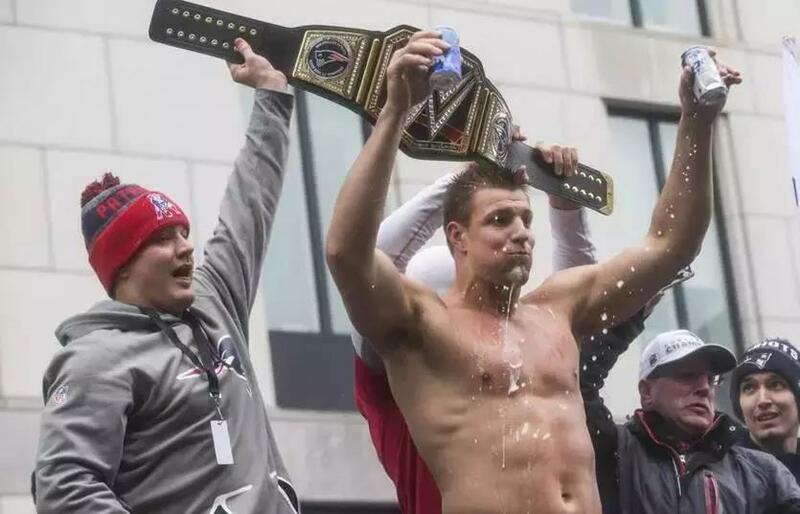 Rob Gronkowski had his T-shirt ripped off at the intersection of Boylston and Berkley streets Tuesday. Steve Annear of the Globe staff contributed to this report.